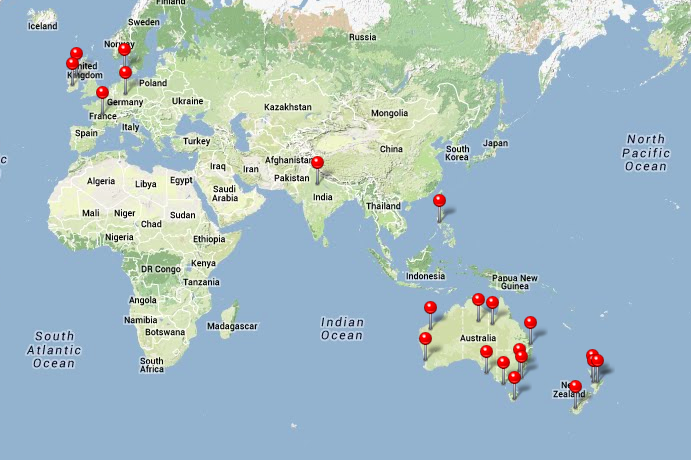 Inspired by Dayna and her cool blog I’ve made a map of the photos I have stored on my computer. I would suggest it could be broken down a lot further, but it makes me realise there are a lot more places to go! Gosh! Thank you very much for the compliment and link. I always look forward to reading your posts. I’ll have to delve into more of the older ones to see some of these other places I haven’t read about yet.